Most of the people lose their smartphone and then unable to find. Fortunately, it won’t happen again if you read on this post, I bet you can easily track android phone from iPhone, iPad or Mac. Find My Device has recently launched the application by Google, which allows you to track Samsung Galaxy S10 or any android device from iPhone, iPad or Mac. Similarly, if you want to track OnePlus 6/6T or Google Pixel 3/3XL, Samsung Galaxy Mobile (S10, S10 Plus, S10e or Earlier), Huwai, Xiaomi, HTC and other all this tutorial will help you. 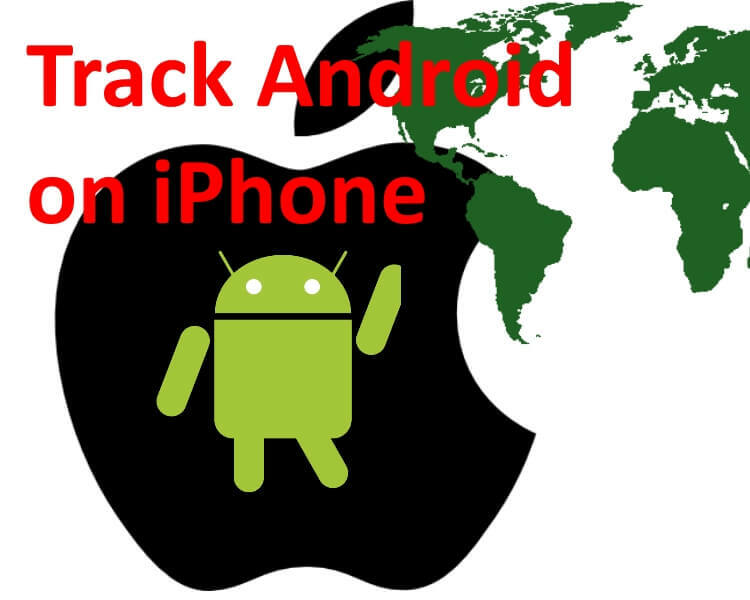 Head over to how to track Android phone from iPhone, iPad, and Mac. Just like Find my iPhone in iOS app, On Any Android mobile, We can Remotely play sound, Erase Device and lock android mobile from your iPhone. If you want to track an Android phone from iPhone, then your lost phone must meet below requirements of Find My Device app. The device should be turned on. The location should be enabled. Must be connected with Wi-Fi or Data connection. Should be signed in to a Google account. Should be in sight on Google Play. Find My Device must be turned on. Firstly, you will need to set up your Android device and then after you will be allowed to track an Android phone from the iPhone. Step #1: On your Android smartphone, go to the Google Play Store. Step #2: Now, download Google Find My Device. Step #3: Launch the “Find My Device” app in your android smartphone. Step #4: Select the Gmail account and continue. Step #5: Enter the password of your Gmail account. Step #6: Tap “Allow”, when the app asks you to access your device’s location. Step #7: Accept the “Terms of Service”. Step #1: On your iPhone, iPad or Mac/PC launch Safari browser. Step #2: Go to Google Find My Device. Step #3: Keep note that you have to sign-in with the Gmail account that you have used in the Find My Device app on your Android phone. Step #4: Once you are finished with signing in on iPhone/iPad/Mac then you will be redirected to the Find My Device website. Let me explain you the key features of Find My Device. NOTE: After signing in as per the steps mentioned in Part 2, then only you will get these functionalities. Play Sound means when you click on this option, the lost device will start ringing even if the device is on silent mode. The device will ring for 5 minutes, and you also have authority to stop the ringing from iPhone iPad or Mac. Another great function of Find My Device is you can secure the device right from your iPhone. No need to worry about confidential data stored in your lost android phone. This option allows you to lock the device and sign out of your Google account. Besides, you can still locate the device. If you want to display emergency information, mobile number or any message on your lost android phone, yes you can do that too from iPhone or iPad or Mac. Want to completely Erase the Device, Find My Device gives access you to erase the device. But the downside of the erasing device is you won’t be able to locate the device once you Erase Device. Hope that we helped you to enable Find my Android on your android mobile also you can track on your iOS (iPhone, iPad) device remotely. Get Free Android Tracker for iPhone by Google. Don’t miss to share, Like, Comment for a positive response. we are happy to help with further problems and solution for you.